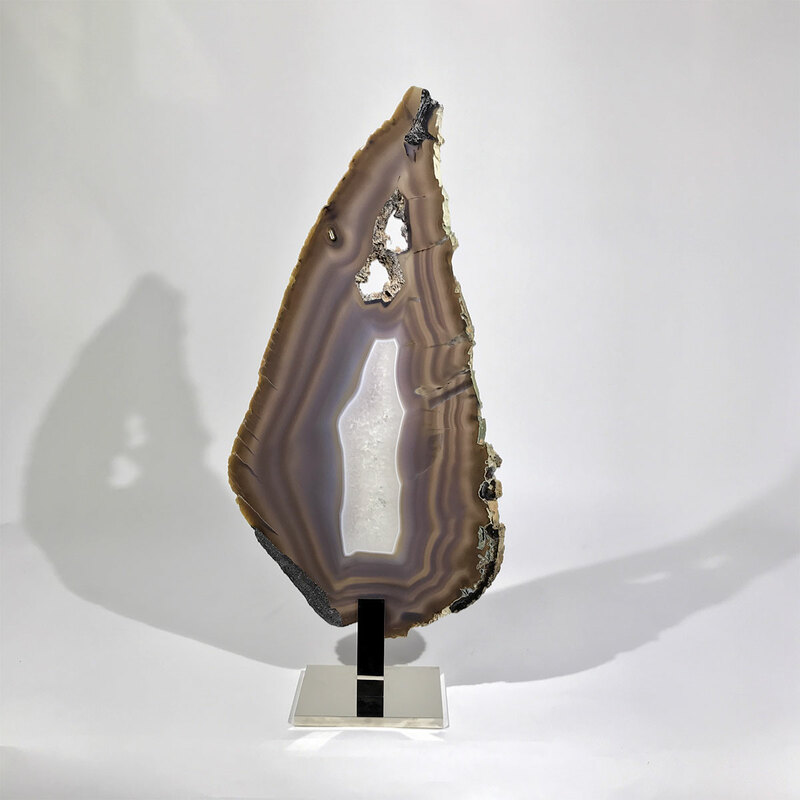 Agateis a rock consisting primarily of cryptocrystalline silica, chiefly chalcedony, alternating with microgranular quartz. 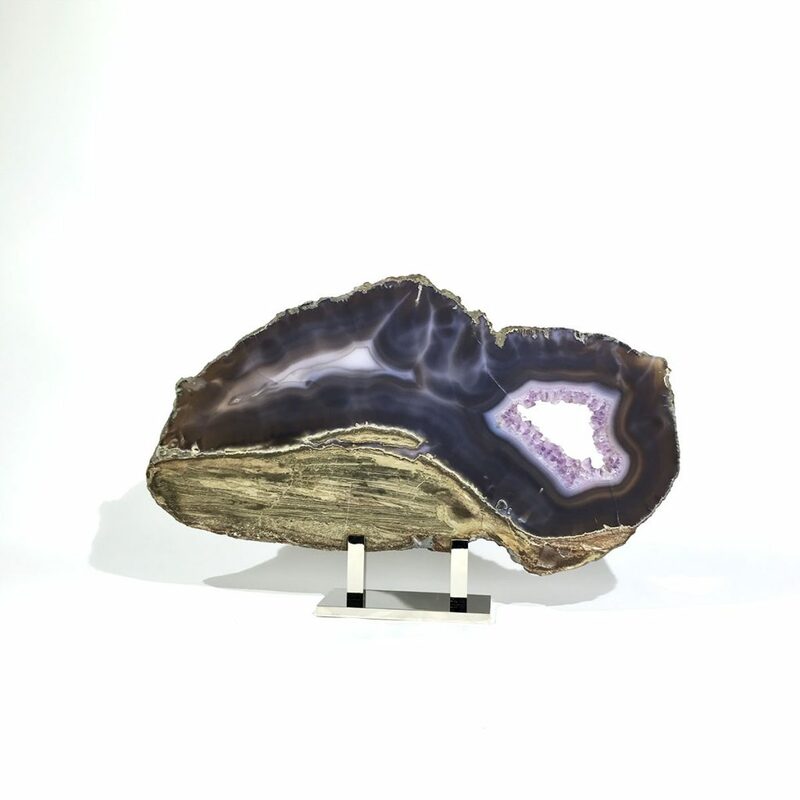 It is characterized by its fineness of grain and variety of color. 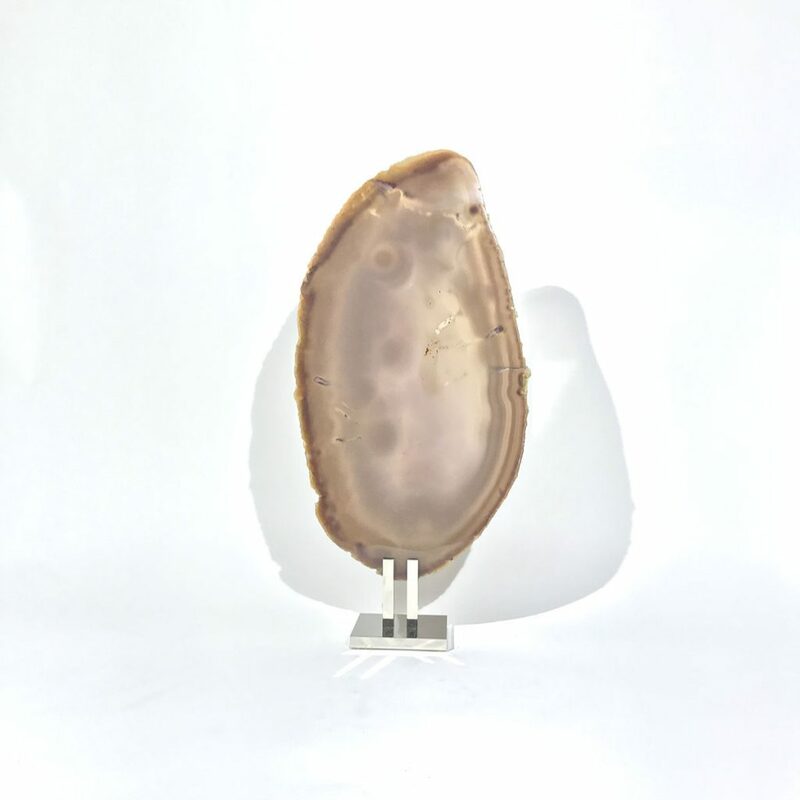 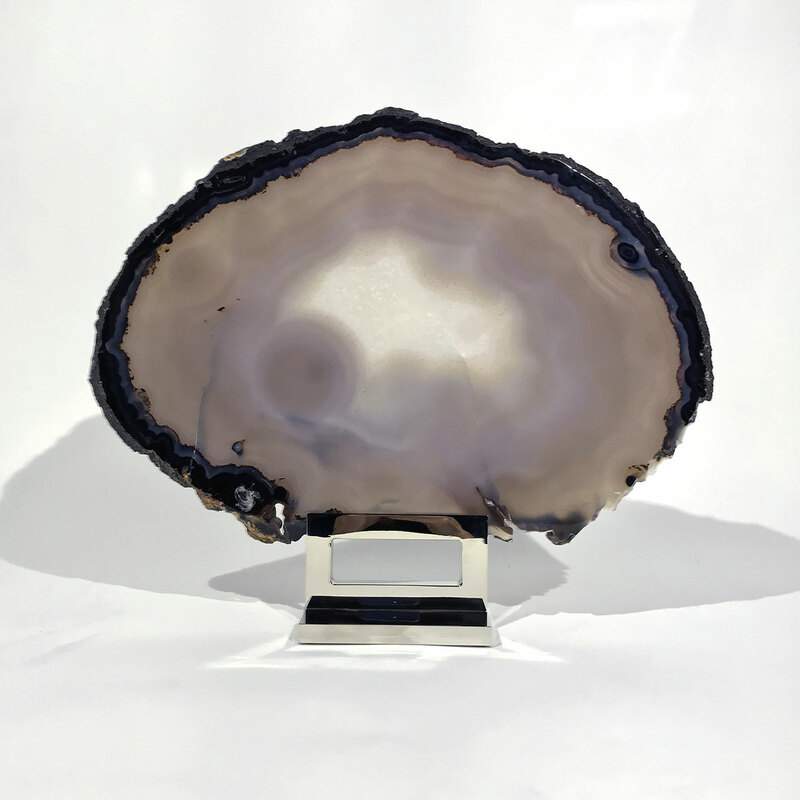 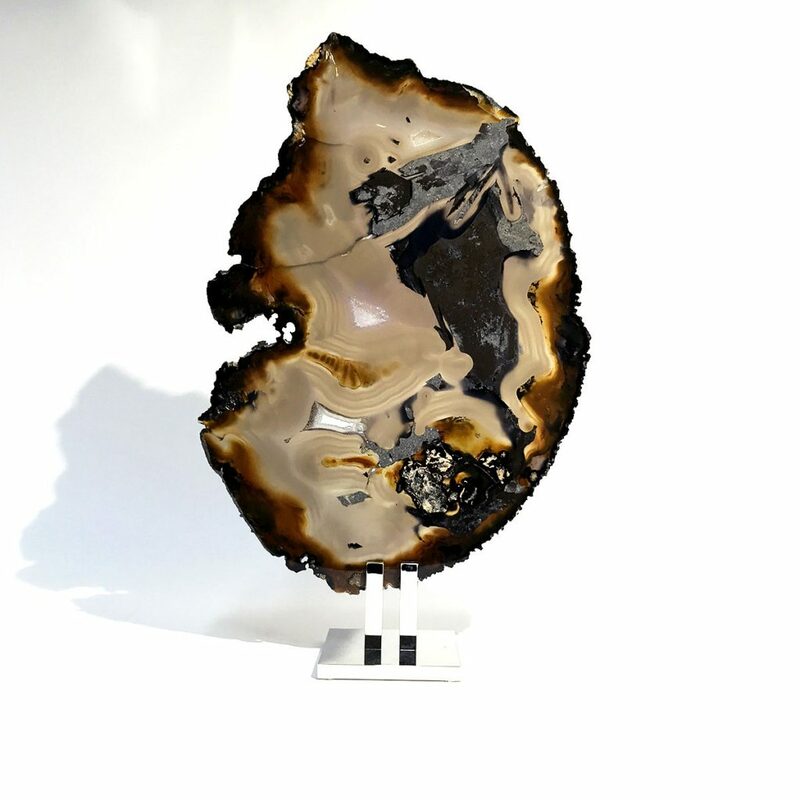 Although agates may be found in various kinds of host rock, they are classically associated with volcanic rocks and can be common in certain metamorphic rocks. 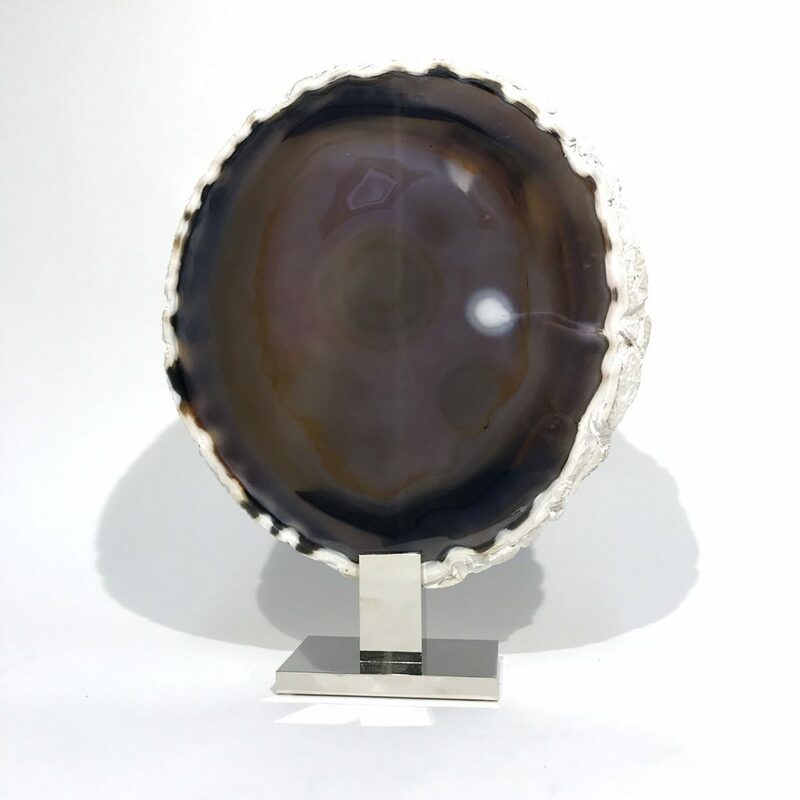 Agates have fascinated man for thousands of years and are now one of the worlds most popular gemstones. 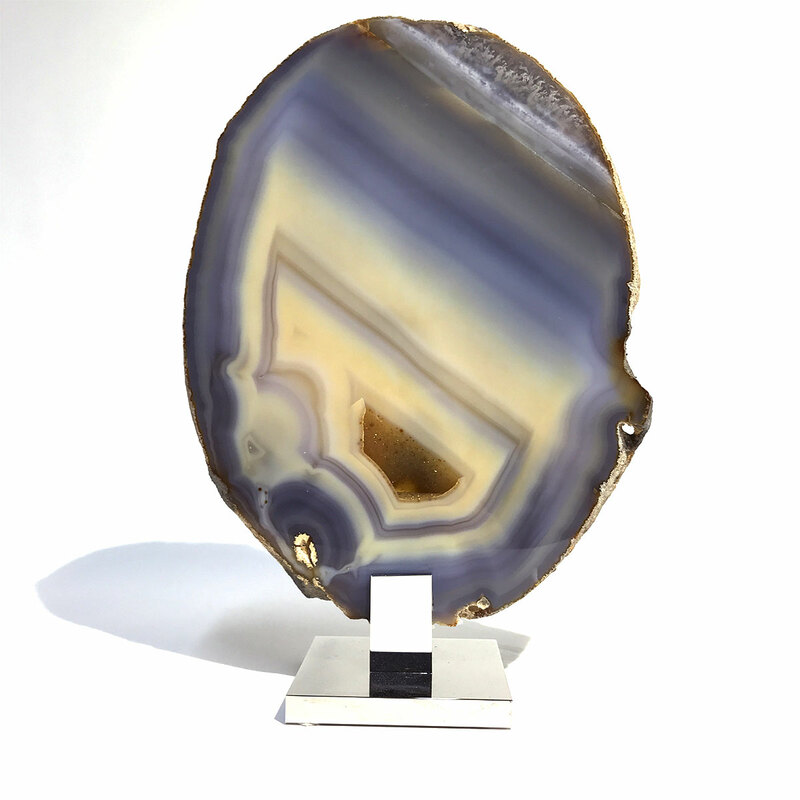 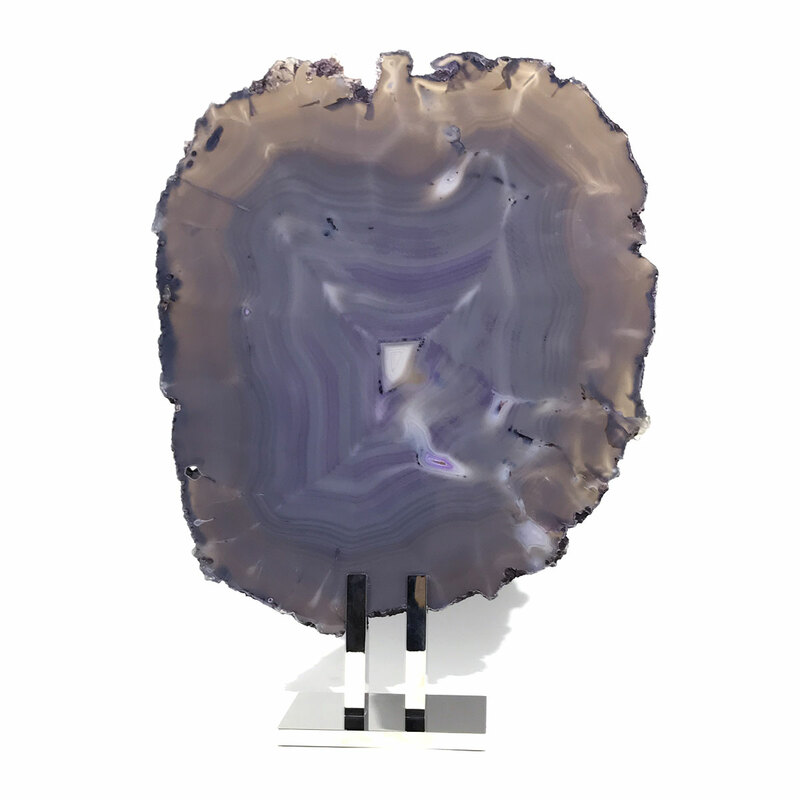 Perhaps part of this fascination lies in the fact that no two agate nodules are ever exactly alike. 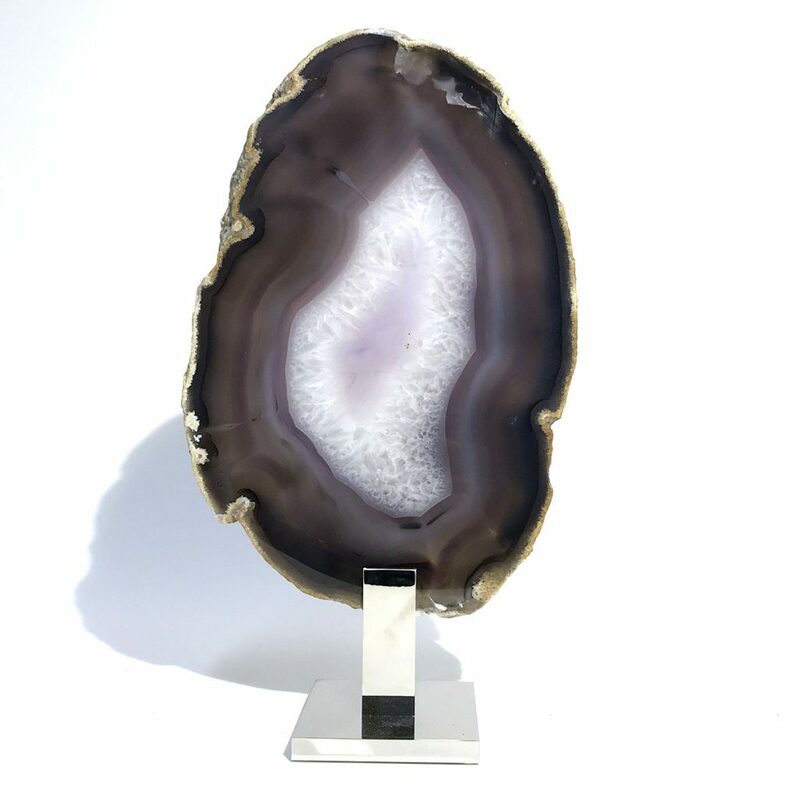 The range of their colours, patterns and shape are almost endless and yet all have thought to have been formed by the one natural process. 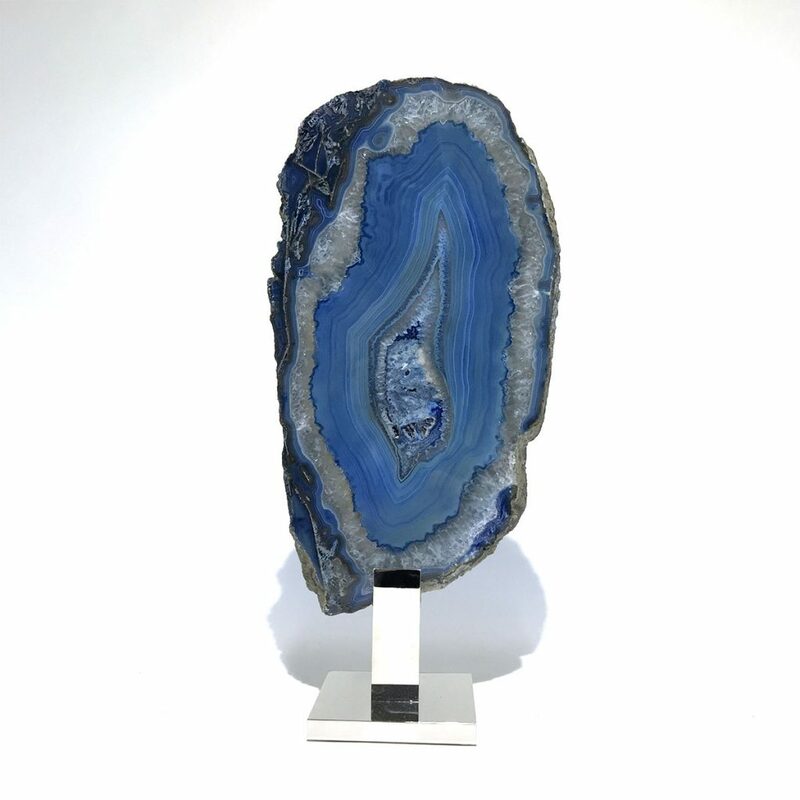 This variety is true of no other gemstone however rare or exclusive it is.